Introducing MoviesDrop, Because Movies Are Gold Mine. I became a die-hard movie freak when I started to learn from movies. That’s why I used the word “Gold Mine” in this blog post title. You can learn stuff that your teacher didn’t teach you in School or College. All you have to do is spend two quality hours and watch a movie. How Watching Movies Benefited Me? English Vocabulary: If you watch an English movie you have the chance of learning at least 10-30 new words. English is not my first (or primary) language, and I don’t know that much of new words. So whenever I watch a movie, I get the chance of learning new words and phrases. You can also use subtitles while watching a movie. Geographic Locations: To be honest, I don’t know the capital of several states and countries, quite weak in Geography right from my School days. So by watching a movie, I get to know some of the popular places in America, Russia, India, etc. Now I know three famous cities in America which start with the word “San” – San Diego, San Antonio, and San Jose. Cinematherapy: It is like watching or using movies to improve Mental Health. It works. Movies have the power to make us cry, laugh, think, react, surprise, etc. They have the power to change our mental (not those psycho stuff) problems. Normally when I watch a movie (a good movie), I give my full attention towards it and involve myself into the story. After completing the movie, I get a great satisfaction, and I’ll have a great day. Learn Biography: When you watch a biographical film or biopic you’ll get a chance to learn the life of an actual famous person. For example, you can consider the movie “Ed Wood (1994)”, where Johnny Depp played the role of “Edward D. Wood, Jr.” I was able to learn about his history and stuff. Learn History & True Events: I think most of us would have watched the movie “Titanic” (1997) and you also got the chance to learn about “RMS Titanic” ship and how the disaster occurred. Don’t just watch a normal silly movie, pick a good movie and watch it. You can refer IMDb, Wikipedia and other popular sites for checking the reviews of excellent movies. You can also interact with movie freaks on our MoviesDrop Facebook Group. Slashsquare is a Blog Network and Web Consulting Media started by Pradeep Kumar on December, 2011. We right now have HellBound Bloggers (HBB) (Technology, Social Media and Blogging) and DeviceBAR (Gadgets and Gizmos) under this. We have plans to expand Slashsquare, to make it more than a Blog Network and we are working on that every day. You can connect with Slashsquare on Facebook, Twitter, YouTube and LinkedIn. Congrats bro! all the best! rock on! Congrats from my side as well bro. Looking forward for awesome movie reviews from MoviesDrop. Many congratulations for such an innovative step. And people like us know that you’d serve many interesting posts in the coming times. congratulations man. Planning to beat IMDb? Congrats on the launch of this new blog, Pradeep. Congrates buddy .. waiting for the articles ..
Congrats Pradeep for launch of this new blog! Keep it up. 😀 Best of luck. Hoping to find some great news and updates on movies!! 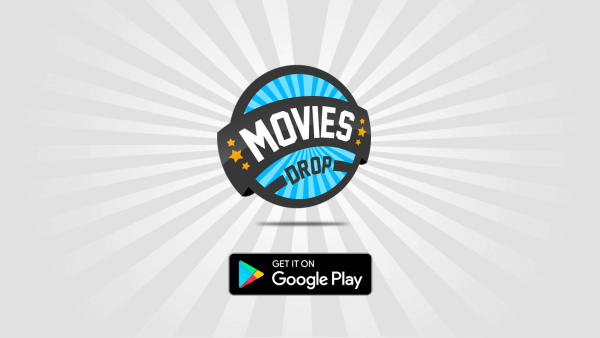 Congrats Pradeep, I will be a regular reader of Moviesdrop. Good going bro. Now add some good list of movies. Hope this will become also a community and all will support us as Facebook group does. Congrats Pradeep……! Waiting for it so long. I love HBB and at the point I am a huge fan of movies. I just hope I will get to see something very interesting on this blog in coming days..
Congratulation Pradeep for your new blog.. Nice to see you on Movie related blog. Nice work Pradeep.Add movies timeline in moviesdrop.